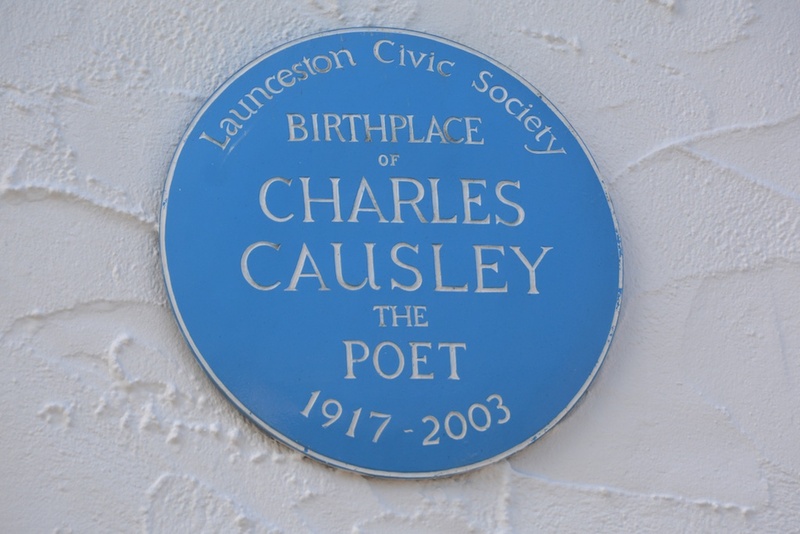 Summer 2017 marks 100 years since the birth of Charles Causley on 24th August 1917, in a small cottage by the River Kensey which runs through the St. Thomas area of the town of Launceston in Cornwall. The 8th annual Festival will therefore be an especially significant and joyous ‘centenary’ one. * or click HERE for the separate page about our Festival exhibitions. You can download a PDF version of the 2017 Festival’s brochure if you click HERE . Disabled access for Festival events : please note that — unless otherwise indicated on an individual event’s page — there is good access for the disabled at most of our venues. If you have any queries about the Centenary Festival in June 2017, or more generally, that aren’t answered on this website, then please use the ‘Contact Us’ sub-page at the bottom of the menu bar at the left to send us an e-mail. Disclaimer: The Festival Committee will make every effort to ensure that performances take place as advertised, but reserve the right to alter the programme if necessary. In the event of an event cancellation, a refund of the ticket value will be made, otherwise tickets cannot be exchanged or refunded once purchased.